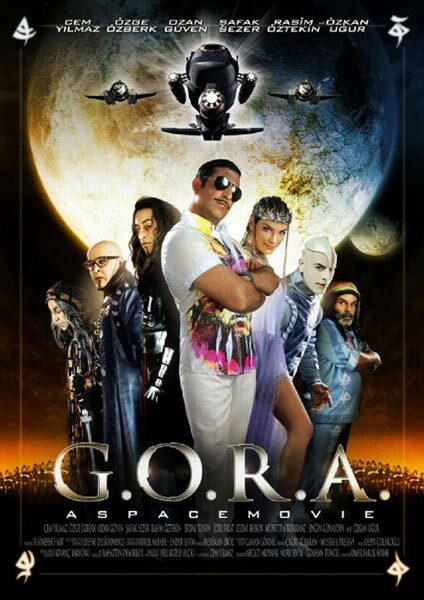 G.O.R.A is a Turkish Mel Brooksesque comedy about a used carpet salesman who is abducted by aliens from a far away planet named G.O.R.A where he gets involved in outwittinga plan by the planet’s security chief and saves the day. G.O.R.A spoofs a number of science fiction films such as Star Wars, The Fifth Element and The Matrix. It was the highest grossing Turkish movie of 2004.